From late nights out to the harsh air conditioning of your office building, dry skin can feel like an inevitability. There are seemingly endless options for face washes or soaps for dry skin that combat this problem, but what are you to do while you’re waiting for the glow of hydration to return to your face? Tinted moisturizer and lightweight foundations are great for buildable, hydrating coverage but sometimes you need just a little more help. Enter concealer. Concealer can hide a multitude of sins. Whether you’re breaking out, experiencing wrinkles, or have a bit of discoloration, concealer is a vital part of anyone discerning makeup lover’s bag. But if you have dry skin it can exacerbate the problem and if it isn’t the right formula, may even sink into fine lines! Luckily, there are a variety of creamy, hydrating formulas on the market that feature nourishing ingredients, including humectants and acids, some of which wouldn’t be out of place in your daily skin care regime. We’ve compiled a list of our favorites below! Wondering how else you can improve the overall look of your dry skin? If fine lines are your main issue, this Neutrogena concealer is a cost effective and nourishing concealer that features hyaluronic acid as a main ingredient. Hyaluronic acid helps to hydrate the skin and maintain your skin’s hydration by acting as a humectant. The Hydro Boost concealer applies flawlessly, blends well, and hides any pesky imperfections you might have. When applied over moisturizer, especially, it helps to plump the area around the eye. Plus, the formula is not only dermatologist tested, it’s been ophthalmologist tested and approved, as well! Though this concealer is a bit pricier than the Neutrogena, a very little amount goes a very long way. You’ll only need to blend a dot or two under each eye to get full coverage. This concealer blends seamlessly to cover under eye darkness while leaving a natural, crease resistant finish. Plus, the formula is incredibly long-wearing; it can stay on while resisting sweat and humidity for up to 12 hours. Available in 12 shades, this concealer is well worth the investment. 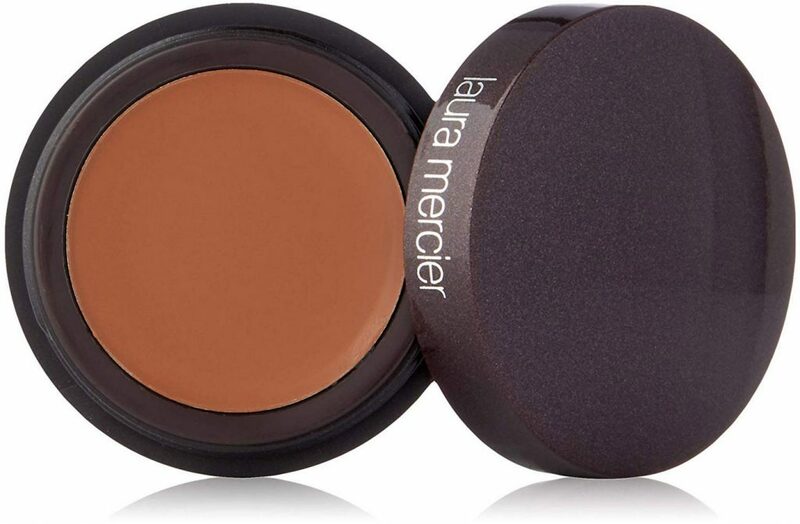 Another Laura Mercier concealer makes our list. It covers dark circles and discoloration with a brightening, medium coverage. Designed specifically for older women who may require a richer formula, the Secret Concealer is longwearing and creamy, leaving the skin around the eyes feeling richly moisturized. With only the tiniest dab of product, this concealer will minimize even the darkest of circles all while leaving a youthful glow! 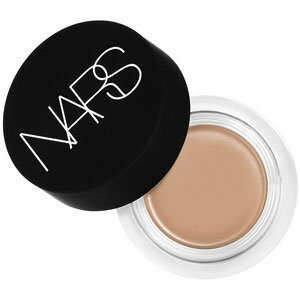 Always a crowd pleaser, the NARS Soft Matte Complete Concealer offers both high coverage and a natural look. With a velvety, light weight feel, this concealer conceals dark circles, redness, hyperpigmentation, and more. This concealer works double time though, with a hydrating formula of collagen-boosting peptides, hyaluronic acid, and Vitamins A, C, and E. Long wearing, non-drying, and in an impressive range of 16 shades, what’s not to love? Touche Eclat is an instant highlighter that offers buildable coverage and luminosity for around the eye area. The light reflecting, micro-pearl formula offers radiance without any shimmer or glitter. Its take-anywhere pen shape makes it perfect for travel or even for stashing in your purse for on the go touch ups. It contains skin friendly ingredients that increase hydration and plump the skin, including hyaluronic acid, vitamin E, and antioxidants that fight visible signs of fatigue. 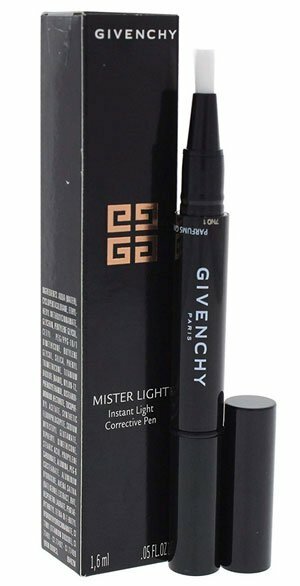 Another innovative pen-concealer, the Mister Light brightens dark under-eye shadows and corrects imperfections. It’s great for tired, sensitive areas and is made of polyols and silicones that make its texture light and very easy to apply. Givenchy’s “Actiwake” complex combines flavonoids and sweet almond extract to make this concealer as creamy and gentle as it is good for your skin. It doesn’t crease at all and it doesn’t cake, either. While it isn’t the most hydrating formula on the list, it’s truly ideal for people who have dry under eyes that need a boost. Formulated with Cordyceps Mushroom, Indian Tree Root, and Bamboo Grass, this innovative concealer is also an amazing skin care product. It helps to reduce dark circles caused by aging while supporting the skin’s natural repair process. It boosts the skin’s moisture levels, making it the perfect fit for those with dry under eyes. It’s one of the best concealers for dry skin. It doesn’t settle into fine lines and lets your skin actually look like real, healthy skin, rather than a layer of cakey makeup. 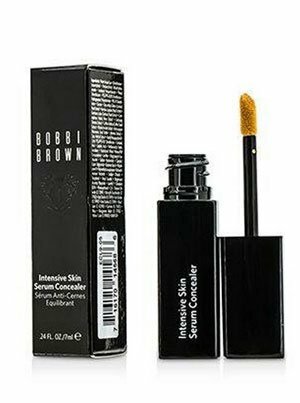 Look instantly vibrant, awake, and refreshed with the Bobbi Brown Intensive Skin Serum Concealer. 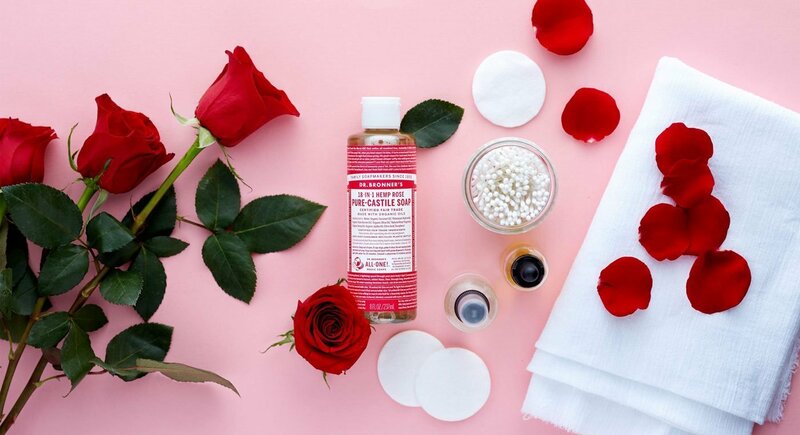 RMS is a cult favorite among the natural beauty community. Made of only natural and organic ingredients, this concealer isn’t your typical makeup product. It covers up complexion imperfections, brightens and smooths the under-eye area, masks acne scars and dark circles, can be used on even the driest of blemish spots, and minimizes the appearance of pores. The “Un” Cover-Up is made of coconut and jojoba oils which hydrate your skin and create a natural, dewy finish that never cakes. Plus, this concealer can be applied as a foundation. Though the coverage is initially very light, it can be built up into a more medium coverage. 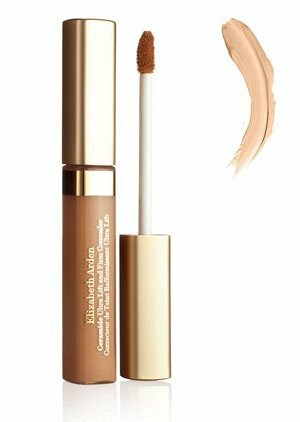 Elizabeth Arden is an award-winning legacy cosmetics brand so it’s only natural that they should have a concealer on our list! The Ceramide Lift and Firm Concealer has won awards and a loyal following, and for good reason. The high-coverage, ultra-creamy concealer smooths fine lines, covers dark circles, and brightens the look of skin. The formula features Cellular Plumping Technology that targets deep wrinkles to firm, lift, and redensify the skin. It also includes the Ceramide Triple Complex, comprised of a blend of ceramides that are enhanced with phytosphingosine which helps to strengthen, re-texturize, and hold moisture within the skin. Just blend the creamy formula in your trouble spots and wait for your skin to transform! Lancôme is another legacy brand on our list. With 80 years as a luxury beauty brand, Lancôme has come to epitomize French glamour and luxury. Quality skin care and scientifically proven results have secured its place as an innovator of both the makeup and skin care industries. 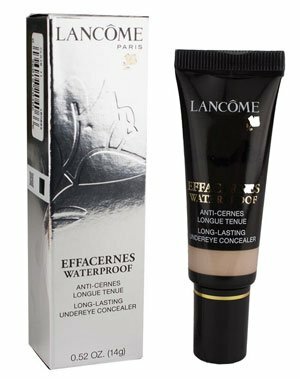 The Effarcernes Waterproof Undereye Concealer provides natural looking, matte coverage that evens the skin tone, covers dark circles, and minimizes lines. It’s long wear so it won’t crease or fade and can be applied both over, and under, foundation. 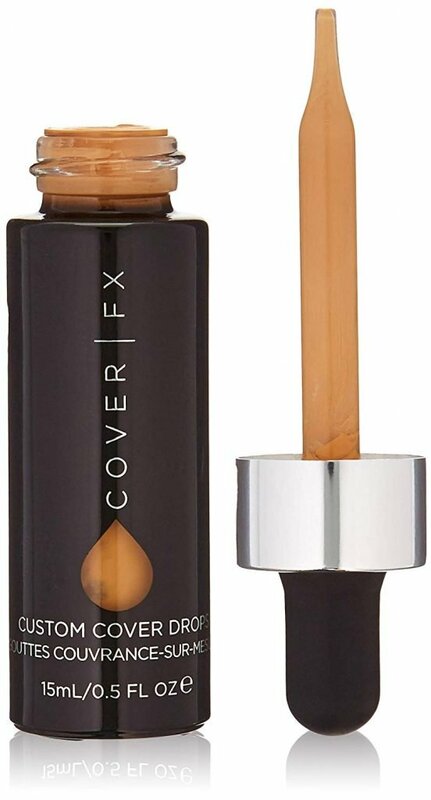 While this isn’t your typical concealer, Cover FX Custom Cover Drops are the perfect solution to a consistent problem: many companies just simply don’t make concealers in enough shades! Custom Cover Drops are highly pigmented and can be combined with any foundation, concealer, serum, or moisturizer you own. When added to a moisturizer, this product can transform your skin care product into an ultra-hydrating concealer that won’t crease. Containing mica and lecithin, Cover Drops highlight your complexion’s natural glow by reflecting light while boosting the blendability of any product their added to! 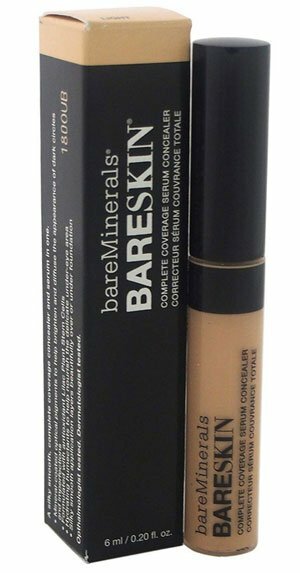 The Bareskin Complete Coverage Serum Concealer is a full-coverage concealer that offers a smooth texture that glides on easily, concealing the under-eye and covering imperfections easily. The serum itself is beneficial and antiaging, made of antioxidant rich lilac plant stem cells that also aid in contributing to the concealer’s lustrous finish. The formula is also humectant and hydrating, which helps to nourish the delicate under eye area and any dry spots you may have! 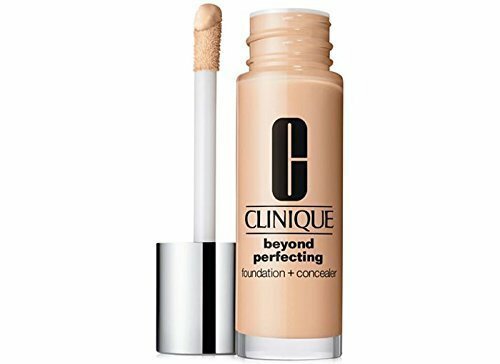 The Clinique Beyond Perfecting Foundation and Concealer is just that: a wonderful two-fer. This is one of the best concealer for dry skin. With the coverage of a foundation but the slow-dry formula of a concealer, this product is at once full coverage and long lasting as well as flexible and natural looking. One dip of the concealer’s doe-foot wand gives you a full-face application or spot-concealment, whichever you prefer. Consistently favored by dermatologists, Clinique is a great choice for younger, combination skin or for dry, aging skin. It comes in 27 shades and is perfect for covering irritations and dry spots! This pigmented concealer doubles as a cream treatment that minimizes dark circles and easily covers discoloration around the eye area and the rest of the face. The treatment combines amino acid proline and vitamin E to smooth out wrinkles. Emollient propolis supports the skin’s natural lipid layer which helps to minimize the visibility of fine lines, while encouraging the skin’s natural repair process, also! The Hey Honey Concealer is also cruelty free, paraben free, and made of clean ingredients. The Benefit Boi ing concealer is a favorite among makeup artists and amateurs alike. 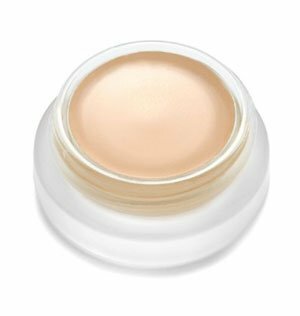 A lightweight, soft-focus concealer, Boi ing offers buildable, sheer to medium coverage that gives an airbrushed, satin finish. It goes on smooth and doesn’t settle into creases so you can apply it to dry spots and under your eyes! 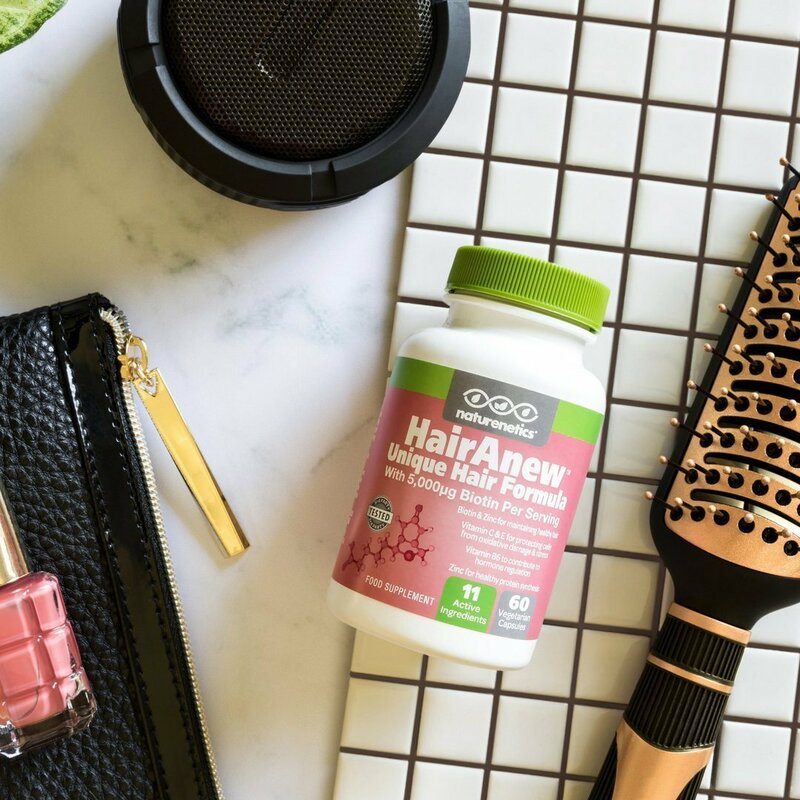 With vitamin E and apple seed extract, this smoothing formula keeps skin hydrated for 6 hours straight while staying put! Using your ring finger, gently pat outward to hide your dark circles, fine lines, and even blemishes. It’s all about layering the right products. After washing our face, make sure to apply a non-astringent toner, followed by a light-weight serum. Consider investing in serums that include hyaluronic acid and vitamin C for plumping, building collagen, and retaining moisture. Serums that also feature vitamin E are great for repairing any damage your skin retained the day before. If you’re prone to dryness, consider using facial oils as well! 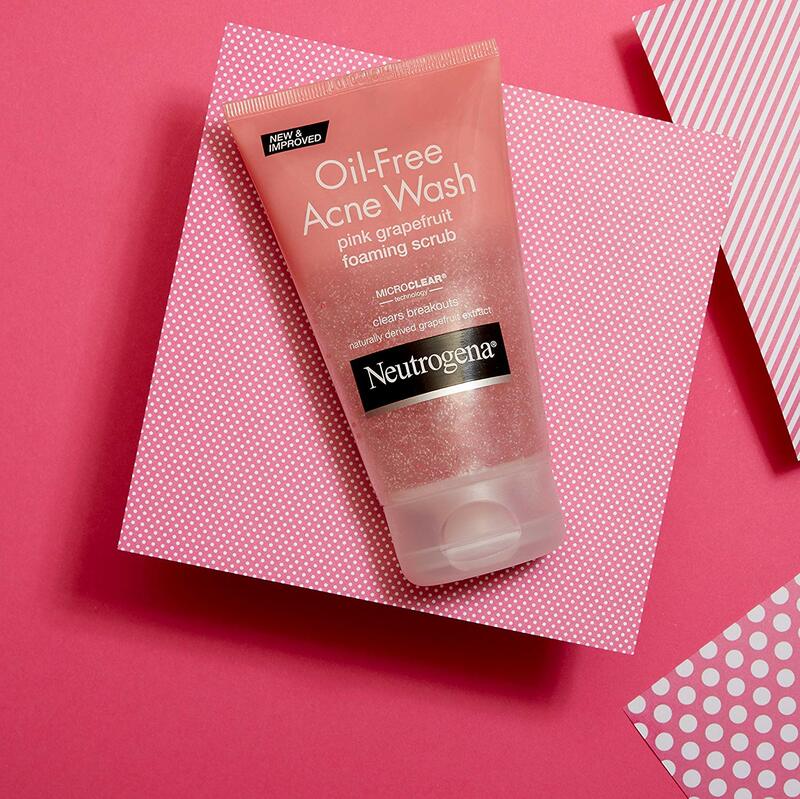 Oils like chia seed, Tsubaki, and sea buckthorn hydrate without clogging pores. If you’re looking to brighten your complexion, consider serums that contain licorice, which has brightening and anti-inflammatory qualities, and fermented ingredients that help boost moisture levels. After your serum, apply a light weight moisturizer. When selecting a moisturizer, consider your skin’s unique needs. If your skin is particularly dry, you should seek out ingredients that are a bit on the heavier side. Look for ingredients like shea butter, ceramides, hyaluronate, and lanolin. If you’re only dry in patches, apply moisturizer only on the areas of your face that need it, typically the jawline and cheeks. In this case, look for a more lightweight moisturizer that’s free of fragrances, as those can be irritating to the skin. Consider a gel or water based moisturizer as those are easily absorbed by the skin, are humectant, and long-lasting. If this feels like too many steps before you’ve even begun to apply your makeup, consider using a tinted moisturizer as your base, rather than a full coverage foundation. As we enter summer a lighter coverage makeup is a great idea, especially one that includes sunscreen. A tinted moisturizer will provide a lightly pigmented, hydrating layer upon which you can apply your concealer. Alternatively, if you’re using a liquid concealer, you can always infuse your favorite moisturizer with a few drops of your concealer, to get a sheer, dewy finish with just a hint of coverage. Whatever your desired level of coverage is, just keep in mind that when it comes to makeup there are no set rules. What matters most is that you love what you’re using and that you feel beautiful! Try a few products until you find the ones you like the most, regardless of their price point. Make sure to take care of the skin underneath your makeup to create the perfect canvas for your foundation, concealer, and powder. Invest in makeup that will double as skin care too and in no time all you’ll need is the occasional application of concealer. Luckily, now you have the perfect list to choose from!